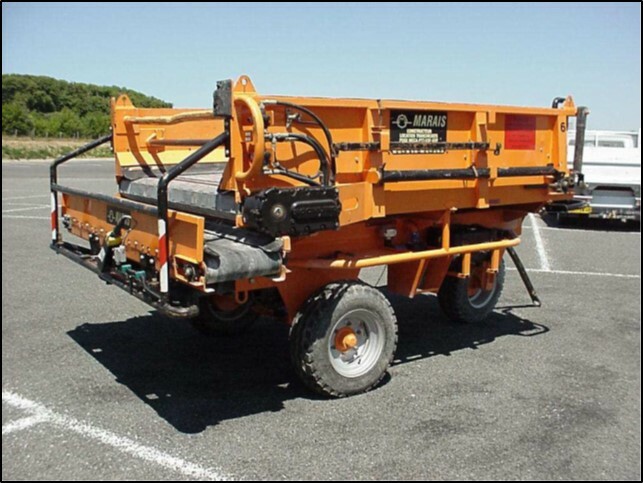 The laying box is used to lay cables or PEHD ducts in the bottom of a trench. It can be used with both Marais ST2 and Marais GD2 units. 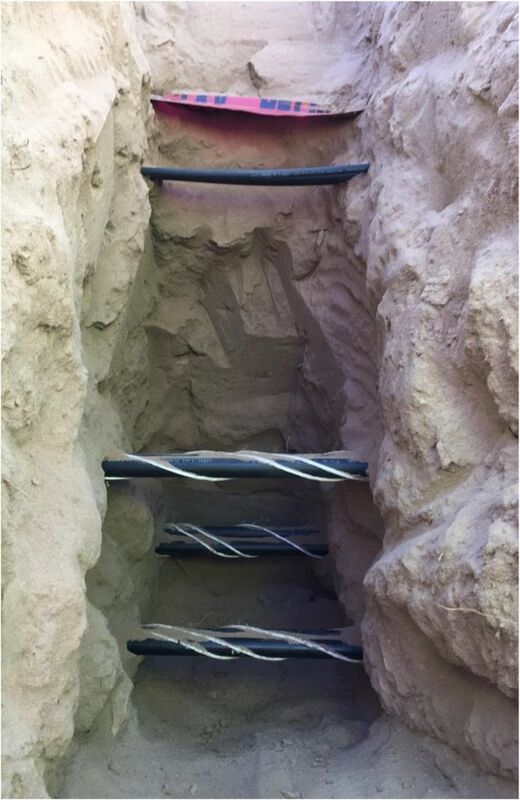 A layer dedicated to keeping the trench open while positionning accuratly cables and/or PEHD ducts. A sandbox dedicated to laying sand around the cables in order to isolate them. A packers dedicated to bringing materials on the screening tool or directly inside the trench after sanding and warning tape unrolling. A screening tool dedicated to bringing the thinest material around ducts or pipes while maintaining the bigger aggregate higher in the trench. The sand trailer works together with the laying box. It is installed at the back of a Marais ST2 or Marais GD2 unit alongside the layer. It is dedicated to throw on a set regular basis the sand into the sandbox. Steady laying of the sand around cables for an ideal protection. No need to dedicate full time an excavator to refilling the sandbox thanks to its autonomy of 2.5 cubic meters (3.3 cubic yards).